When you are first considering working from home as an online teacher, it can be incredibly overwhelming knowing where to start or how to find your first online teaching job. What better way to find this information than speaking to the teachers already employed by online teaching companies. even use a teacher’s referral code for support during your application*. 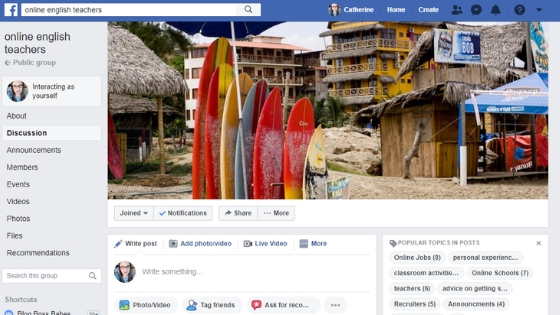 *Please be aware that if you use a teacher’s referral code when applying for an online teaching job, it is not a requirement that the teacher provides you with support through your application. If you would like support through your application, it is best to message a teacher first to confirm, BEFORE using their referral code. 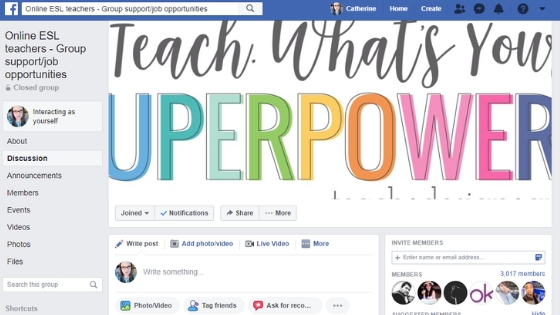 There are potentially 100s of Facebook groups specifically set up to support online teachers and help others interested in starting a career teaching online. 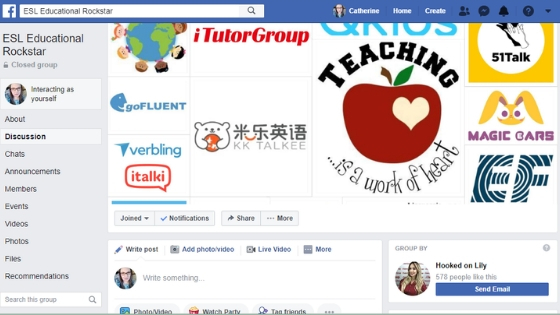 Type in the keywords within the search bar such as online teaching, teaching jobs, ESL, Teach English – and you will find relevant groups listed for you to join. With that said, some groups are more beneficial and useful than others. Joining too many groups at once can be overwhelming. Many of these groups have numerous posts every day which will fill your newsfeed and can be difficult to keep up with. This way, it eliminates you having to scroll through the whole group with 100s of irrelevant comments and you can narrow down your search to companies relevant to what you are looking for, or what you have to offer a company. This group, though extremely large with over 20,000 members, is actually my favourite and most recommended group. It has an extensive number of job postings, plus being a large group, there are lots of helpful individuals willing to answer your questions as a beginner, looking for an online teaching job. The group also is not just limited to job post after job post. 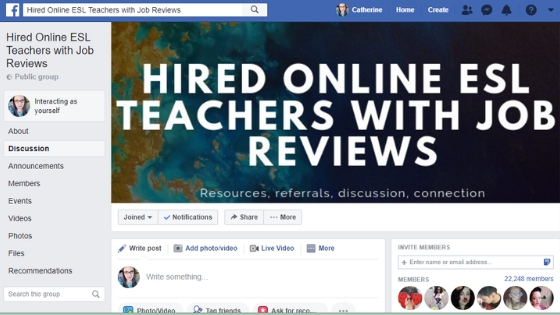 They offer reviews of different companies, but also support to help you become a better teacher through live videos and top tips. This group is great as it has organised tags which you can click on to find relevant posts e.g. online jobs, recruiters and classroom activities. Online English teachers have dedicated threads for recruiters to leave their referral link each month. 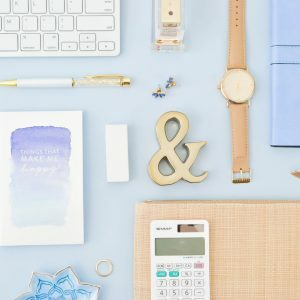 The rest of the group’s posts are either blog posts to help you with your online teaching career or for teachers to support each other with their questions. 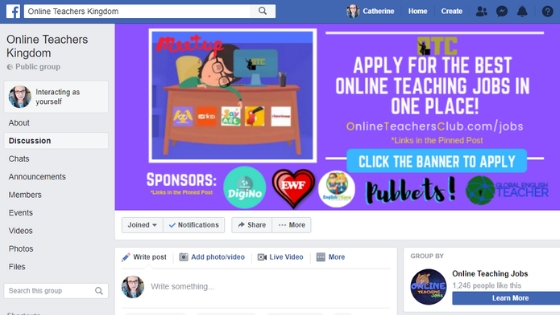 Again, another great support group, specifically, I have found many questions are from people starting to consider teaching online and looking for their first online teaching job. If you are at the beginning stages with your online teaching career, this may be a great place to start. Hired Online ESL Teachers with Job Reviews. 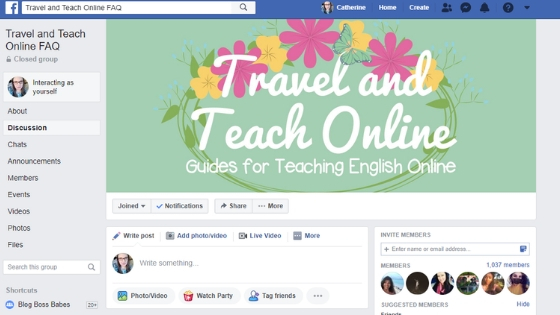 Again, though most of the group’s posts are made up of online teaching jobs, there are also members sharing their blog posts to help improve your teaching career. Within this group, I have seen a few company job postings not listed in the other groups. Again, this group is not too large so you shouldn’t be bombarded with posts on your newsfeed. Lily is the creator of this group and actually recruits for both Magic Ears and Itutor. At Itutor she is also an experienced interviewer and can help you through your application process. 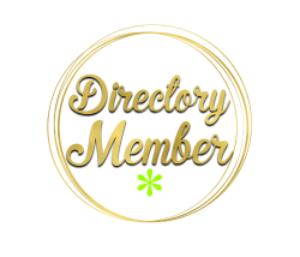 Otherwise, this group offers a community to answer your questions and find other companies shared within the group that might not be noted elsewhere. ESL Educational Rockstar also has a large amount of material shared to help you with your lesson content, which you can find searching in the images section. This is a great relaxed group and I find it more of a teacher’s social room rather than a large group of only job postings. 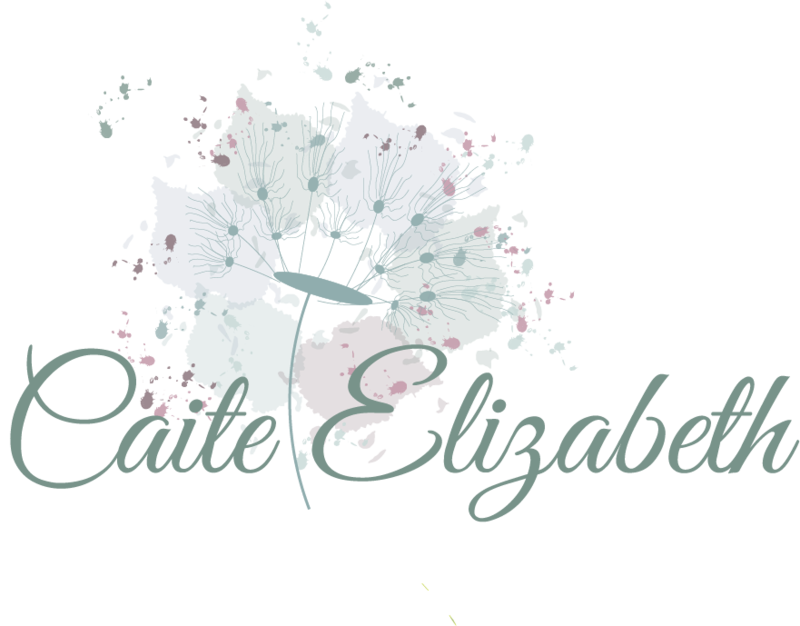 Tasha, the owner, is great as she provides a super friendly, relaxed environment where people can build online teacher relationships as well as ask questions in a non-judgemental group. Tasha is actually a recruiter for the online teaching company, Itutor. So if you are interested in working for them, I highly recommend contacting her. 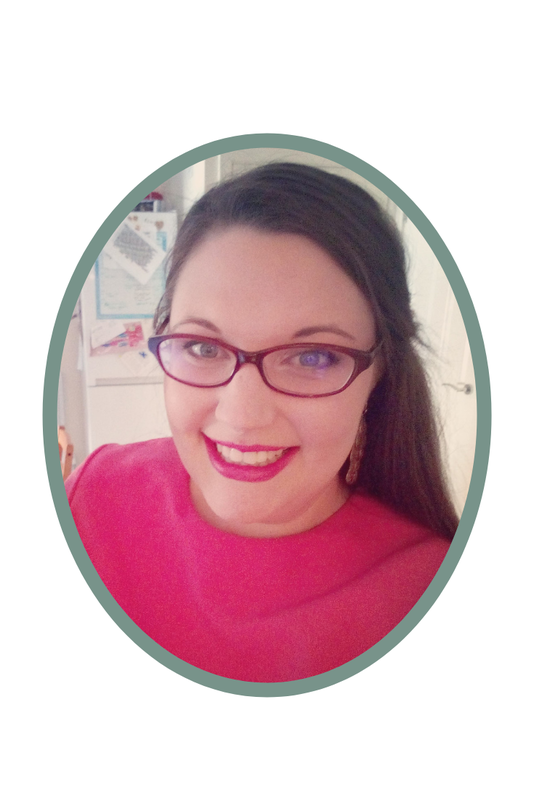 Tasha posts lots about her everyday life, showcasing exactly what a teacher does and what opportunities teaching online provides her and her family. She is also extremely experienced having worked for numerous companies and, along with her own blog, can provide lots of helpful advice to someone looking for their first online teaching job. 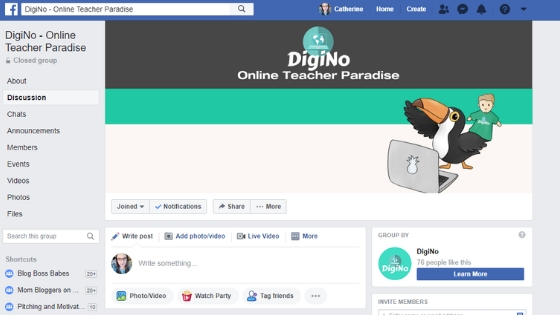 DigiNo is a specific group linked to the blog DigiNo, which focuses on supporting people wanting to teach online. 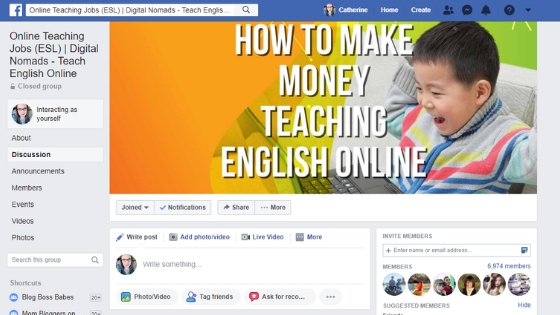 The Facebook group is great as it is full of useful information, blog post links to help you find your ideal online teaching job and Jason, the creator of DigiNo, even provides Live Q&A sessions to help his members. This group is great if you are looking to travel whilst you teach or are non-native. There are lots of questions answered already about companies with available non-peak Beijing hours for teaching or who hire non-native English speakers. I personally really love this friendly group. This is run by Dada teachers, Kat and Laura, who are both experienced teachers and have taught whilst travelling. They offer fantastic advice about how to travel and teach, as well as a wealth of information specifically related to getting hired with Dada. Though they both work for Dada, a lot of the resources they share and discuss can be used in most online teaching jobs. They provide a wealth of free materials which help improve your teaching and student’s experiences. 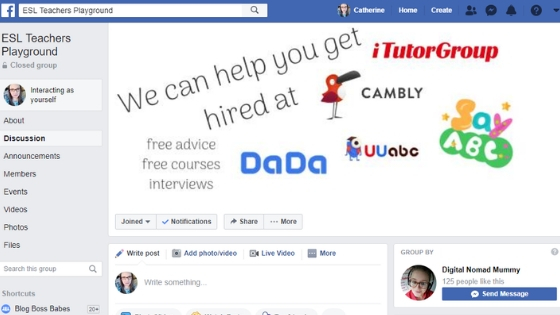 If you are not interested in applying with Dada, I still highly recommend this group as they have other teachers within the group who also share the company they work for and referral code. Once you have searched through these groups and found a company which matches what you are looking for and you can also match their applicant requirements, I highly recommend then checking Facebook for a company-specific group. Many online teaching companies have a group set up to support applicants as well as groups just for their teachers. These groups can be great to join to ask your hiring process specific question. 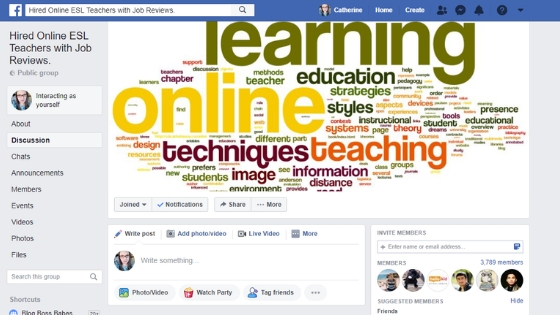 There are other methods of finding your first online teaching job, such as Google searches, LinkedIn or even Instagram. However, I find using Facebook groups to be the most effective method. 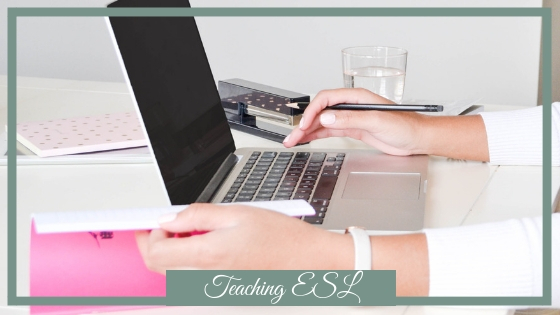 Not only is there a vast number of job postings daily for different companies within ESL groups, but they also can provide a genuine insight into the life of an online teacher and what it is like to work for a specific company. 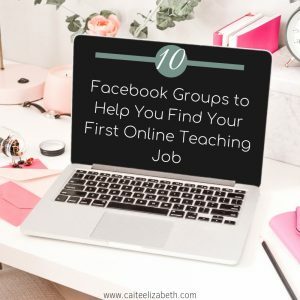 When you have been accepted into any of the Facebook groups above, it can literally take you 10 minutes from using the groups search function for an online teaching job you require to then applying either using a teacher’s referral link or directly to the company (as long as you already have your Resume set up and ready to send). If you are considering applying for Whales, SayABC or Xue Bang, feel free to contact me in the comments below and I can help you directly through your application. Online ESL Interview Tips with Q and A Examples.